Buy to Let Landlord’s tax explained. I need to declare my rent income. How do I register? What expenses am I allowed to claim? Is it difficult completing a tax return online? How much tax will I have to pay? These are important questions that need to be answered if you want to avoid problems with the tax man. This guide sets out the basics for getting your tax affairs in order and filling in your self-assessment tax return. Tax penalties were increased last year, so filing your tax return promptly and getting it right first time is more important than ever. After all, in these difficult times, everyone should be aiming to avoid wasting their hard-earned cash on hefty penalties. If you believe you need to complete a tax return, you must inform HMRC. You will need to complete form SA1. Most HMRC registrations can now be done online on their website. The information required in this form is fairly straightforward, such as full name, date of birth and address. You will also need your National Insurance number. If you’re completing the registration process using paper forms, the address that you need to send them to once complete can be found on the form. You should always keep a copy of the form and note the date that you sent it. HMRC will send you a confirmation of registration and provide you with your unique taxpayer’s reference, or UTR. This is a unique reference for your tax affairs. You should quote this on any payments you make or any correspondence to HMRC. They will also ask you for this or your National Insurance number if you ever phone them with a query. A tax return should disclose your taxable income and gains for the relevant tax year. A tax year starts on 6 April and ends on the following 5 April. Also note that all of your taxable income and gains must be declared on a tax return – even if they have been taxed before you received them ( or ‘taxed at source’), such as employment income or bank interest. Following the end of the tax year, tax returns must be submitted to HMRC. You can submit your return on paper; this must be done by 31 October following the end of the tax year. Alternatively, you may chose to file your return online, in which case the deadline is extended to the 31 January, following the end of the tax year. Failing to file your return on time will result in an automatic £100 fine, with further penalties depending on the length of delay. Last year, the penalty rules changed. Previously, if the tax you had to pay on 31 January was less than £100, then your penalty would be reduced to whatever was owed. But this has been scrapped and the £100 penalty is now fixed and automatic. Any tax you owe must be paid by or on the 31 January following the end of the tax year. There are a number of ways you can pay HMRC, such as Direct Debit, Bank Giro, online banking etc. As mentioned above, income that has already been taxed must still be declared on your tax return. However, the tax already paid at source will be deducted before arriving at the final tax bill. Be aware that if your tax liability is over £1,000 or not much of your tax is collected at source, you may be required to make an instalment for next year’s tax as well on 31 January. Again, delaying paying HMRC could cost you interest and late payment penalties. Landlords should keep their records and documents for six years in case HMRC want to examine them in the future. HMRC is not very precise about the format of records a business should keep. They are indifferent as to whether you should use a manual cashbook or sophisticated bookkeeping programme. Many of our registered clients simply add up their receipts and enter their total transactions directly on to our online forms, within their secure client space on our website, we then use the information to complete their tax returns. Some prefer to upload their spreadsheets to their client space on our website. We have a dedicated document storage facility for this. When starting out, you may want to begin with simple spreadsheets, or a basic book to record your income and expenses and very quickly you should be able to identify what format your business needs for record keeping. • Paperwork for any assets you have sold, such as shares, land etc. Again, this list is not exhaustive, but hopefully it gives you a good idea of the type of paperwork it is necessary for you to keep and which will be required for the completion of your tax return. Below is a comprehensive list of the most common expenses buy to let landlords can claim. Other loan interest directly related to the business may be allowed. The main property expense for most people is the mortgage payment. You can only claim relief on the interest part of the mortgage payment. If you have a repayment mortgage, the repayment part of any payments does not qualify for relief. This means that the mortgage interest may be less than the full monthly repayment you make, as your mortgage repayments may include repayment of capital. New rules from 5 April 2017. Mortgage arrangement fees also qualify for relief if paid up front or added to the cost of the mortgage. The above new rules also apply. 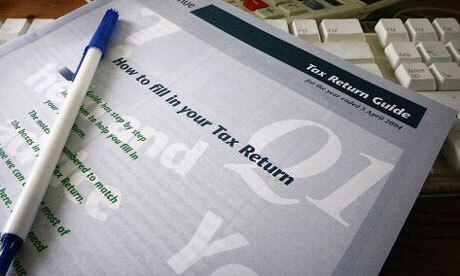 The thought of having to complete a Tax Return can be quite a daunting task as well as time consuming. For just £130.00 (after tax relief £104.00) we can prepare and file your Tax Return for you without any fuss. Simply provide us with the information we ask for then leave the rest to us. This article is intended to inform rather than advise and is based on legislation and practice at the time. Taxpayers’ circumstances do vary and if you feel that the information provided is beneficial it is important that you seek professional advice before implementing.. If you take, or do not take action as a result of reading this article, we will accept no responsibility for any financial loss incurred.